Maryam delivers an exceptional lesson experience and ranks in the top 15% of our teachers nationwide. Maryam is an award-winning hollywood composer/performer currently residing in Los Angeles, California. Maryam has established herself as a professional celebrity music coach since her arrival in Los Angeles. Growing up she studied guitar with Middle Eastern rock stars Ardavan Anzabipour and Homayoun Majdzadeh . 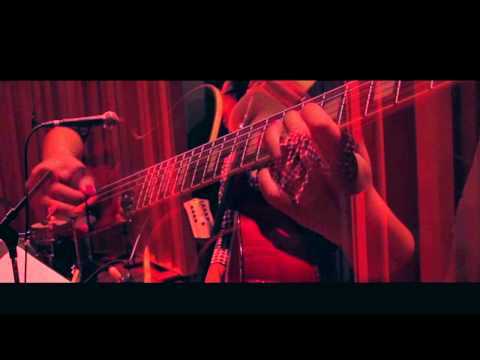 Maryam has performed in prestigious international music festivals such as Fajr International Music Festival and Monterey Jazz Festival(student) and have competed and placed in competitions such as Iranian International Youth Competition : Music Composition category(semi-finalist) and Music Association of California Community Colleges Composition Competition(2nd place in state of California) . She has won a Jazz Downbeat Award with ARC Advanced Vocal Jazz Ensemble, was nominated for a Hollywood Music in Media Award(2016) and has composed pieces for prestigious figures such as Deborah Lavine and James Franco. She holds two Associate Degrees in Jazz Voice and Music Composition from American River College where she studied with one of her biggest inspirations, Joe Gilman. She also holds a Bachelor of Fine Arts (music composition ,film music) from the California Institute of the Arts where she studied with Ulrich Krieger ( Lou Reed), Pirayeh Pourafar, Houman Pourmehdi, David Rosenboom, Larry Koonse , Miroslav Tadic and many more. Maryam is currently working on her Master Degree from CalArts and also studying with Usher and Christina Aguilera through MasterClass inc.
Maryam’s musical style is derived from a fusion of jazz, soul, persian and classical music and inspired by endless number of artists. She has been the featured artist of the month in renowned publications such as GIRLTRIP, Muzik magazine, HuffingtonPost, DW Germany, POPDOSE, Obscure sounds, Girls underground, VENT Magazine, Celebrity cafe and many more. She is said to be one of Los angeles’s most unique and up and coming acts and has been compared to the likes of Sade, Dido, Natalie Merchant, Lianne Lahavas and Adele. In 2017 Maryama Band was the winner of Acropolise Record's battle of the bands round one. 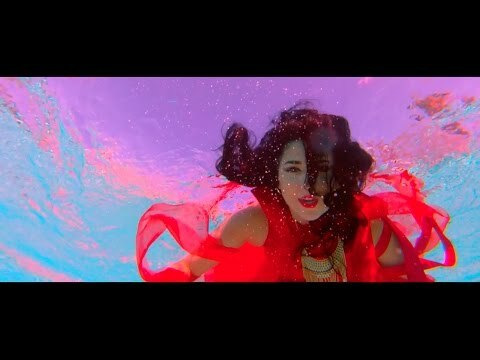 Maryama's new music video/single “Where The Mermaids Are” gained spectacular feedback making it one of the artist’s most critically acclaimed pieces of work. Maryama’s upcoming record with the same name is scheduled to release in the same year. I want you to improve. I want you to put time and be great at what you do. I truly love all my students and I want your happiness. As of teaching goes, I'll make sure to meet all your needs but it's you who can make a difference. I don't believe in talent , I believe in hard work and practice. everybody is born with the same blank canvas it's what you draw on it over time that matters.If you let me know that you have other things than music or you're maybe busy to practice a lot, I'll give less things to practice after every 3 month ( what I call a semester) you can choose songs to record in my home studio. I don't have a fancy studio but I have enough equipment to record and edit demo songs. I'd love my students to participant in talent shows and I'm always looking to put you out there in the real world of music. Anything a student and their parents might need. I can bring my guitar to accompany but the student needs to also provide their own instrument. I will also need the voice students to have a keyboard or a piano as a lot of voice technique exercises need the piano accompaniment. I'm professionally an electric guitarist.. Started with classic guitar and then changed genre to rock and metal and then started exploring jazz but I consider myself a rock solo guitarist with some spices of jazz and i still play classical. I'm also a pop/rock singer with flavors of jazz and I've been singing classic music as well. Having been interested in teaching both children and adults I've been through special training and internship to teach students group age 4 and above . Have created music for wide range of productions from multi dimensional animation with AT&T to live theatre with James Franco. NEWEST single : Where the mermaids are. She is kind, patient, flexible, and most importantly she listens to what your desires are and adjusts her style to meet those needs. She is also very good at explaining the importance of traditional exercises and does an excellent job of presenting those in a way that is a very comfortable way to learn. While studying at ARC I bumped into Maryam. Upon realizing that she was a music major the topic quickly escalated to focus of degree. At the time, composition was what Maryam was pursuing. After listening to some of her creations, I realized that I had never seen such talent at a junior college. Selecting Maryam from the rest of the pack will forever change yours and your child's lives. She is a fine musician and is very easy to talk to. All the while songwriting and composing is her specialty and she is the best that I know. It took awhile to get my granddaughter to singing lessons but now that she has started them, she is having such a great experience. She hasn't let us listen to her voice at home but we are waiting for that day when she will. All I know is, she is learning a lot from her teacher and is anxious to go to her lessons every week. Her teacher is a very accomplished musician and has encouraged my granddaughter to be able to try and develop her love of music through her voice. I am so thrilled I found her teacher and we chose her by her schooling and credentials. I don't know where these voice lessons will lead my granddaughter, if anything we just want her to enjoy the journey and if it helps her with her self esteem, that will be a great accomplishment. I can't say enough great things about her teacher, she has been wonderful for my granddaughter. I read what her teachers background has been and what she is currently doing, it meant a lot to my granddaughter to know that about her. We are very impressed with her knowledge and how she is handling my granddaughters lessons. Thanks for the great teacher!